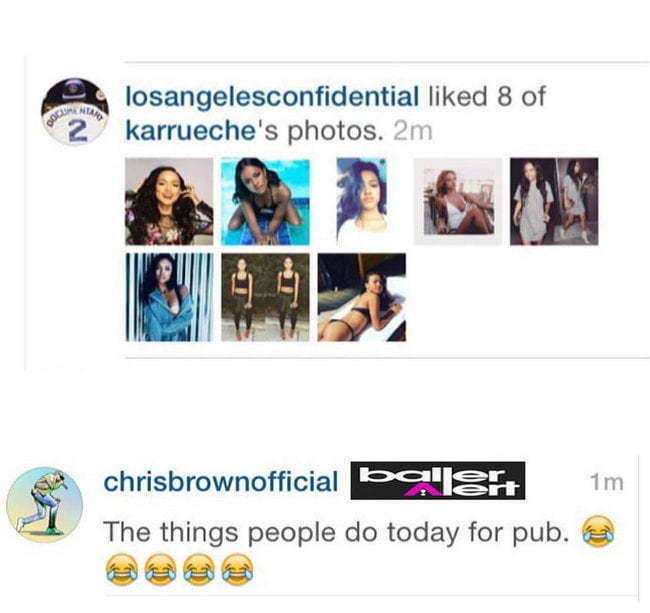 Chris Brown does not want another celebrity anywhere near Karrueche Tran not even on Instagram. 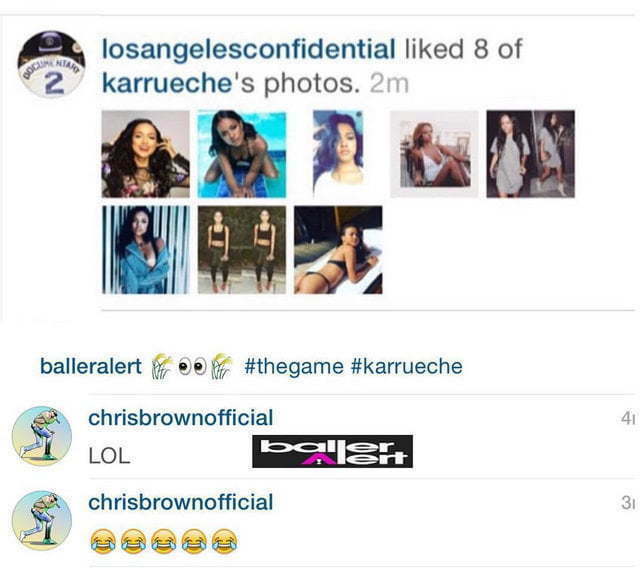 Compton rapper The Game went on IG and liked eight of Karrueche’s photos but it seems Breezy didn’t like that and left a comment calling out The Documentary rapper. “The things people do today for pub,” Brown wrote along with a few laughing emojis. BallerAlert posted a screenshot of the entire thing. The Game has not responded to Chris Brown as yet. But given his reputation we can expect him to very soon. Breezy might also want to keep himself out of any beef with Game since he has a upcoming court case regarding his custody battle with his baby mama Nia Guzman. 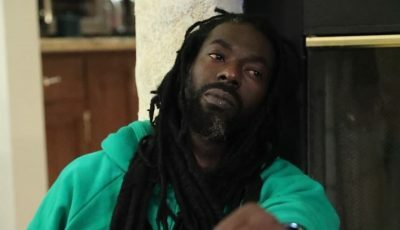 Any slip up from him could result in him loosing custody of his daughter Royalty. 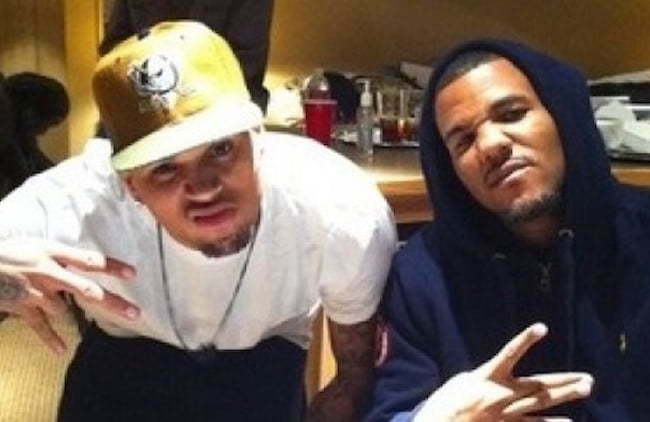 Chris Brown and The Game collaborated in 2011 on a track called “Pot Of Gold” and again in 2012 on “Celebration” which also features Tyga and Wiz Khalifa. Just last week the “Ayo” singer went in on Marques Houston for dropping a flirty comment on Karrueche Tran’s photo. for f–ks sakes man let her be let her move on you messed up and lost her cause of it. Karrueche is single so she can date whoever she wants so why is Chris still hating on everyone who go after her. I think that he was just joking!